For the son of Vratislaus I, Duke of Bohemia, see Wenceslaus I, Duke of Bohemia. For the son of John the Blind, King of Bohemia, see Wenceslaus I, Duke of Luxembourg. 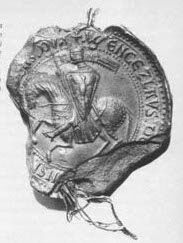 Wenceslaus I (Czech: Václav I. Přemyslovec; c. 1205 – 23 September 1253), called One-Eyed, was King of Bohemia from 1230 to 1253. Wenceslaus was a son of Ottokar I of Bohemia and his second wife Constance of Hungary. In 1224, Wenceslaus married Kunigunde of Hohenstaufen, third daughter of Philip of Swabia, King of Germany, and his wife Irene Angelina. 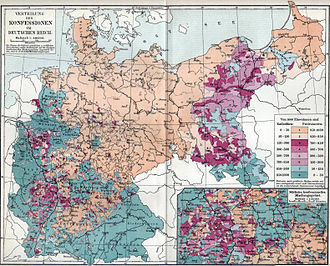 Wenceslaus encouraged large numbers of Germans to settle in the villages and towns in Bohemia and Moravia. 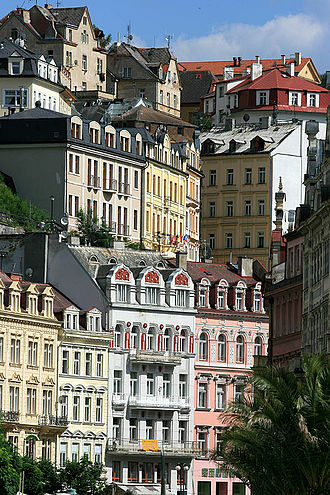 Stone buildings began to replace wooden ones in Prague as a result of the influence of the new settlers. Beatrice of Bohemia (c. 1231 – 27 May 1290) married Otto III, Margrave of Brandenburg. Agnes of Bohemia (died 10 August 1268) married Henry III, Margrave of Meissen. An unnamed daughter. Died young. On 6 February 1228, Wenceslaus was crowned as co-ruler of the Kingdom of Bohemia with his father. On 15 December 1230, Ottokar died and Wenceslaus succeeded him as the senior King of Bohemia. 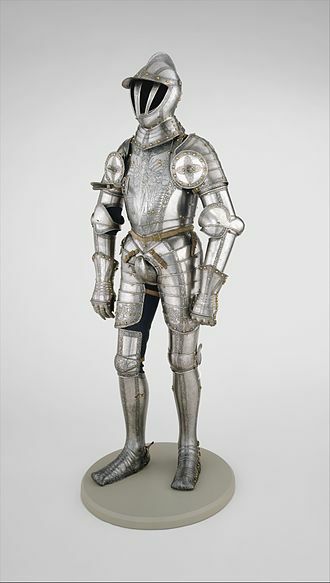 His early reign was preoccupied by the threat to Bohemia posed by Frederick II, Duke of Austria. The expansionism of Frederick caused the concern and protestation of several other rulers. In 1236, Holy Roman Emperor Frederick II was involved in a war against the Lombard League. The Emperor demanded Wenceslaus and other rulers of the Holy Roman Empire to lend him part of their own troops for his war effort. Wenceslaus led a group of princes who expressed their reluctance to divert any troops from the defense of their own territories, citing fear of invasion from the Duchy of Austria. They requested imperial intervention in the situation. In June 1236, the Emperor imposed an imperial ban on the Duke of Austria. 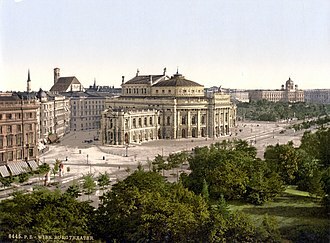 Troops dispatched against the Duke forced him to flee Vienna for Wiener Neustadt. He would continue to rule a rump state for the following year. The Emperor declared direct imperial rule in both Austria and the Duchy of Styria, also held by the fleeing Duke. Ekbert von Andechs-Meranien, former Bishop of Bamberg was installed as governor in the two Duchies. Ekbert would govern from February to his death on 5 June 1237. Wenceslaus was hardly pleased with this apparent expansion of direct imperial authority close to his borders. Wenceslaus and Duke Frederick formed an alliance against the Emperor. Frederick the Emperor chose to lift the ban in 1237 rather than maintain another open front. Wenceslaus managed to negotiate the expansion of Bohemia north of the Danube, annexing territories offered by Duke Frederick in order of forming and maintaining their alliance. Wenceslaus and Frederick also found another ally in the person of Otto II Wittelsbach, Duke of Bavaria. In June 1239, Wenceslaus and Otto left the Reichstag at Eger, abandoning the service of excommunicated Emperor Frederick II. Despite their intent to elect an anti-king, no such election would take place until 1246. In 1246, Henry Raspe, Landgrave of Thuringia, was elected King of Germany in opposition to Emperor Frederick II and Conrad IV of Germany. In 1241 Wenceslaus successfully repelled a raid on Bohemia by forces serving under Batu Khan and Subutai of the Mongol Empire as part of the Mongol invasion of Europe. 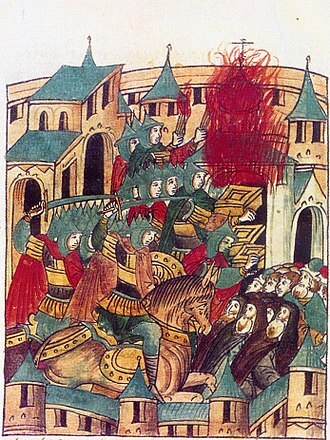 The Mongols raided the Kingdom of Poland, Silesia and Moravia, led by Baidar, Kadan and Orda Khan with a force of around 20,000 Mongols, causing much destruction. During the Mongol invasion of Poland, Duke Henry II the Pious of Silesia, Wenceslaus' brother in law, initially asked his help in fighting off the Mongols. 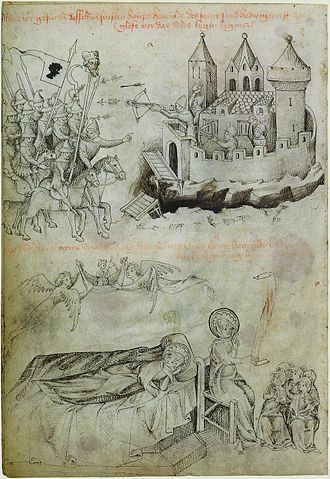 However as Wenceslaus was coming to his aid in Legnica with a force of 50,000 soldiers, impatience forced Henry II to attack the Mongols without Bohemia's help which resulted in the devastating Battle of Legnica. Following the Mongol victory, Wenceslaus fell back to protect Bohemia. He gathered reinforcements from Thuringia and Saxony along the way, before taking refuge in Bohemia's mountainous countries whose terrain would reduce the mobility of the Mongolian cavalry. 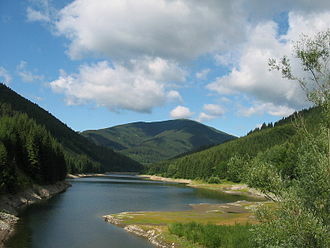 When a Mongol vanguard assaulted Kłodzko, the Bohemian cavalry easily defeated them in the mountain passes. After their failure against Wenceslaus' army, the Mongols led by Baidar and Kadan turned away from Bohemia and Poland and went southward to reunite with Batu and Subutai in Hungary, who had crushed the Hungarians at the Battle of Mohi. 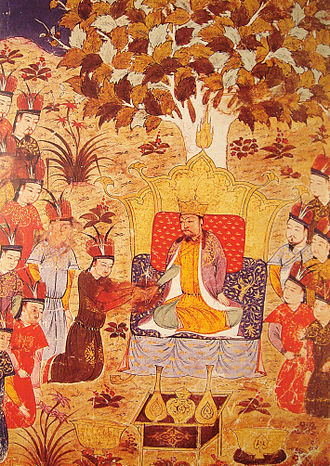 When Subutai heard in 1242 that Grand Khan Ögedei had died the previous year, the Mongol army retreated eastward, because Subutai had three princes of the blood in his command and Genghis Khan had made clear that all descendants of the Khagan (Grand Khan) should return to the Mongol capital of Karakorum for the kurultai which would elect the next Khagan. Such was Wenceslaus' success against the invaders that chroniclers sent messages to Emperor Frederick II of his "victorious defense". On 15 June 1246, Frederick II, Duke of Austria, was killed in the Battle of the Leitha River against Béla IV of Hungary. His death ended reign of the Babenburg dynasty in Austria. The matter of his succession would result in years of disputes among various heirs. Wenceslaus' foreign policy became focused on acquiring Austria for the Přemyslid dynasty. Meanwhile, Emperor Frederick II managed to once again place Austria under direct imperial rule. However imperial governor Otto von Eberstein had to contend with an Austrian rebellion, preventing immediate benefits from the annexation of the Duchy. The Privilegium Minus, the document which had elevated Austria to a Duchy on 17 September 1156, allowed for the female line of the House of Babenberg to succeed to the throne. Gertrude, Duchess of Austria, niece of the late Frederick II, thus was able to claim the Duchy in her own right. Wenceslaus arranged for her marriage to his eldest son, Vladislaus, Margrave of Moravia. Vladislaus was declared a jure uxoris Duke of Austria and managed to secure the support of part of the Austrian nobility. On 3 January 1247, Vladislaus died suddenly and the initial plan of Wenceslaus was negated. Gertrude continued her claim and proceeded to marry Herman VI, Margrave of Baden. In 1248, Wenceslaus had to deal with a rebellion of the Bohemian nobility, led by his own son Ottokar II. Ottokar had been enticed by discontented nobles to lead the rebellion, during which he received the nickname "the younger King" (mladší král). Wenceslaus managed to defeat the rebels and imprisoned his son. Ottokar II held the title of King of Bohemia from 31 July 1248 to November 1249. By the end of 1250, both the Emperor and Herman VI were deceased. The latter having never been accepted by the Austrian nobles, Gertrude and their only son Frederick I, Margrave of Baden continued their claim. Wenceslaus led a successful invasion of Austria, completed by 1251. Wenceslaus released Ottokar II and named him Margrave of Moravia. Wenceslaus had Ottokar proclaimed Duke of Austria and acclaimed by the nobility. In order to secure dynastic rights to Austria, Wenceslaus had another female Babenberg proclaimed Duchess and betrothed to his son. Margaret, Duchess of Austria, was a sister of Duke Frederick II and an aunt of Gertrude. She was also the widow of Henry (VII) of Germany, who had died in 1242. However, Margaret was much older than Ottokar. Their marriage took place on 11 February 1252. Wenceslaus did not enjoy his victory for long. He died on 23 September 1253 and Ottokar II succeeded him. Under the reign of Wenceslas I of Bohemia, the royal court came to cultivate lifestyles typical of contemporary Western Europe, including the culture of jousting and tournaments and the enjoyment of courtly poetry and songs. His government is associated with the establishment of Czech statehood, an increase of Czech political influence in Europe, the rise of Czech nobility, and continued development of urban life, trade and crafts. Wenceslas, like his father and son, supported the arrival of ethnic Germans into the country. He was also the first to allow privileges to the Jews; however, they were expected to pay considerable sums of money for them. ^ Martin Wihoda, Vladislaus Henry: The Formation of Moravian Identity, transl. Katerina Millerova, (Brill, 2015), 299. ^ Francis Dvornik, The Slavs in European History and Civilization, (Rutgers University Press, 1962), 26. ^ Sturner 1992, p. 295. ^ Jonathan R. Lyon, Princely Brothers and Sisters: The Sibling Bond in German Politics, 1100-1250, (Cornell University Press, 2013), 241. ^ a b Bohemia to the Extinction of the Premyslids, Kamil Krofta, The Cambridge Medieval History, Vol. VI, ed. J.R. Tanner, C.W. Previte-Orton and Z.N. Brooke, (Cambridge University Press, 1968), 435. 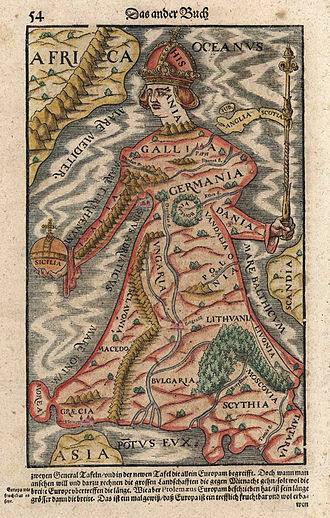 ^ Germany in the Reign of Frederick II, Austin Lane Poole, The Cambridge Medieval History, Vol. VI, 101. 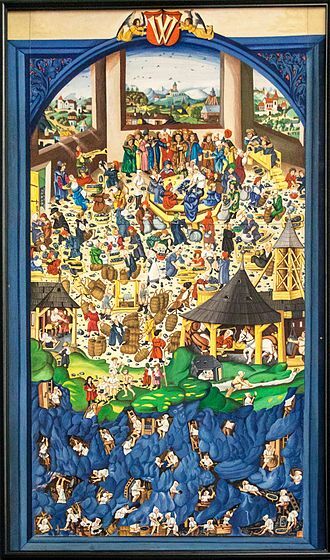 ^ Aeiou Encyclopedia: article "Ekbert von Andechs-Meranien"
^ a b Pál Engel, Realm of St. Stephen: A History of Medieval Hungary, transl. Tamás Pálosfalvi, ed. Andrew Ayton, (I.B. Tauris, 2005), 106. ^ a b (DE) Erich Zöllner, Geschichte Österreichs: von den Anfängen bis zur Gegenwart, (Oldenbourg Verlag, 1990), 111. ^ Chisholm, Hugh, ed. (1911). "Ottakar I. § Ottakar II." . Encyclopædia Britannica. 20 (11th ed.). Cambridge University Press. p. 368. Wikimedia Commons has media related to Wenceslaus I of Bohemia. Wenceslaus I, Wenceslas I, Václav the Good or Saint Wenceslaus was the duke of Bohemia from 921 until his assassination in 935. His younger brother, Boleslaus the Cruel, was complicit in the murder and his martyrdom and the popularity of several biographies gave rise to a reputation for heroic goodness that resulted in his elevation to sainthood. He was posthumously declared to be a king and came to be seen as the saint of the Czech state. He is the subject of the well-known Good King Wenceslas, a carol for Saint Stephens Day, Wenceslas was the son of Vratislaus I, Duke of Bohemia from the Přemyslid dynasty. His grandfather, Bořivoj I of Bohemia, was converted to Christianity by Saints Cyril and his mother, Drahomíra, was the daughter of a pagan tribal chief of the Havelli, but was baptized at the time of her marriage. His paternal grandmother, Ludmila of Bohemia, oversaw his education, in 921, when Wenceslas was about thirteen, his father died and his grandmother became regent. Jealous of the influence that Ludmila wielded over Wenceslas, Drahomíra arranged to have her killed, Ludmila was at Tetín Castle near Beroun when assassins murdered her on September 15,921. She is said to have been strangled by them with her veil. She was at first buried in the church of St. Michael at Tetín, but her remains were removed, probably by Wenceslas, to the church of St. George in Prague. Drahomíra assumed the role of regent and immediately initiated measures against the Christians, when Wenceslas came of age, he took control of the government. He placed the duchy under the protection of Germany, introduced German priests, and favoured the Latin rite instead of the old Slavic, to prevent disputes between him and his younger brother Boleslav, they divided the country between them, assigning to the latter a considerable territory. To withstand Saxon overlordship, Wenceslass father Vratislaus had forged an alliance with the Bavarian duke Arnulf, the alliance became worthless, when Arnulf and Henry reconciled at Regensburg in 921. In 924 or 925, at about the age of 18 and he defeated a rebellious duke of Kouřim named Radslav. He founded a rotunda consecrated to St. Vitus at Prague Castle in Prague, Henry had been forced to pay a huge tribute to the Magyars in 926 and needed the Bohemian tribute, which Wenceslas probably refused to pay after the reconciliation between Arnulf and Henry. Henry III, called Henry the Illustrious from the House of Wettin was Margrave of Meissen and last Margrave of Lusatia from 1221 until his death, from 1242 Landgrave of Thuringia. Born probably at the Albrechtsburg residence in Meissen, Henry was the youngest son of Margrave Theodoric I, Margrave of Meissen and his wife Jutta, in 1230 he was legally proclaimed an adult. Henry had his first combat experience in sometime around 1234, while on crusade in Prussia and his pilgrimage and company is well-documented by Peter of Dusburg, and it resulted in the construction of Balga castle, an important administrative centre for the Teutonic Knights. In 1245 after many years of conflict with the Ascanian margraves of Brandenburg, he was forced to cede the fortresses of Köpenick and Mittenwalde north of Lower Lusatia. In 1249 however, the Silesian duke Bolesław II the Bald granted him the area around Schiedlo Castle at the Oder river. In the struggle between the Hohenstaufen Emperor Frederick II and Pope Gregory IX, Henry took the side of the Emperor, in consideration, Frederick II in 1242 promised him the heritage of Henry Raspe as Landgrave of Thuringia and Count palatine of Saxony. The Mongol invasion of Europe in the 13th century was the military effort by an Asian power, the Mongol Empire, to invade and conquer parts of Europe. It involved the severe and rampant destruction of East Slavic principalities and major cities, such as Kiev, Mongol invasions affected Central Europe, leading to conflict with the Kingdom of Hungary and fragmented Poland. 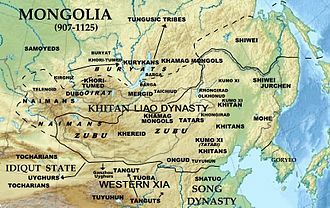 The operations were masterminded by General Subutai and commanded by Batu Khan and Kadan, as a result of the invasions, many of the conquered territories would become part of the Golden Horde empire. Historians regard the Mongol raids and invasions as among the deadliest conflicts in history up through that period. Ögedei Khan ordered Batu Khan to conquer Rus in 1235, the main force, headed by Jochis sons, and their cousins, Möngke Khan and Güyük Khan, arrived at Ryazan in December 1237. Ryazan refused to surrender, and the Mongols sacked it and stormed Suzdalia, many Rus armies were defeated, Grand Prince Yuri was killed on the Sit River. 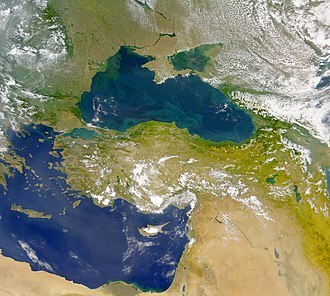 Major cities such as Vladimir and Kozelsk were captured, the Mongols turned their attention to the steppe, crushing the Kypchaks and the Alans and sacking Crimea. Batu appeared in Ukraine in 1239, sacking Pereiaslav and Chernihiv, most of the Rus princes fled when it became clear resistance was futile. 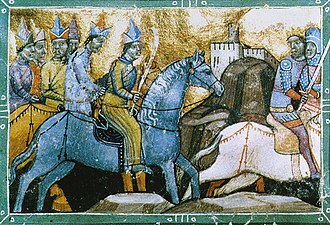 The Mongols sacked Kiev on December 6,1240 and conquered Galich, Batu sent a small detachment to probe the Poles before passing on to Central Europe. One column was routed by the Poles while the defeated the Polish army. The Mongols had acquired Chinese gunpowder, which deployed in battle during the invasion of Europe to great success. The attack on Europe was planned and executed by Subutai, who achieved perhaps his most lasting fame with his victories there. Having devastated the various Rus principalities, he sent spies into Poland and Hungary, having a clear picture of the European kingdoms, he prepared an attack nominally commanded by Batu Khan and two other familial-related princes. He commanded the column that moved against Hungary. 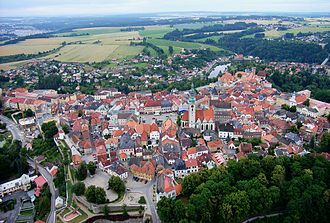 The Archdiocese of Bamberg is a diocese of the Roman Catholic Church in Bavaria and is one of 27 Roman Catholic dioceses in Germany. About a third of the population is Catholic, with 15. 6% this diocese has one of higher numbers of worshippers on Sunday in Germany. 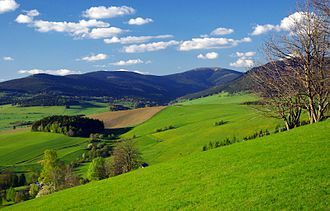 It comprises the majority of the regions of Upper Franconia and Middle Franconia, as well as a small part of Lower Franconia. The dioceses of Speyer, Eichstätt, and Würzburg are subordinate to it, the Diocese was founded in 1007 out of parts of the dioceses of Eichstätt and Würzburg. 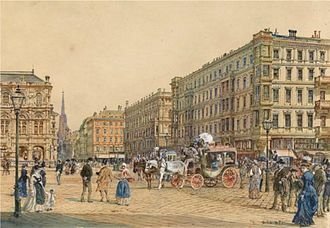 In 1817, the diocese was raised to an archdiocese, at 1 November 1007 a synod was held in Frankfurt. Eight archbishops and twenty-seven bishops were present at the synod as well as the German King Henry II, Henry II intended to create a new diocese that would aid in the final conquest of paganism in the area around Bamberg. 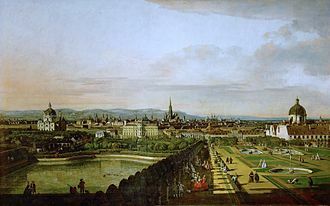 The consent of Pope John XVII was obtained for this arrangement, but the elevation of Würzburg to an archbishopric proved impracticable, at the synod Henry obtained permission for the foundation of the diocese of Bamberg from parts of the dioceses of Würzburg and Eichstätt. Bamberg was made subordinate to Rome. It was decided that Eberhard, the chancellor, would be ordained by the archbishop of Mainz, Willigis. The new diocese had expensive gifts at the synod confirmed by documents, the next seven bishops were named by the emperors, after which free canonical election was the rule. Eberhards immediate successor, Suidger of Morsleben, became pope in 1046 as Clement II and he was the only pope to be interred north of the Alps in the Bamberg Cathedral. In the thirteenth century the diocese became a territorial principality. At the Peace of Westphalia, the bishops recovered their possessions, but these were overrun by the French revolutionary armies, and in 1802 annexed to Bavaria. From 1808 to 1817 the diocese was vacant, but by the Bavarian Concordat of the year it was made an archbishopric, with Würzburg, Speyer. For a list of archbishops, see Archbishop of Bamberg, prince-Bishopric of Bamberg This article incorporates text from a publication now in the public domain, Samuel Macauley, ed. He was a member of the Přemyslid dynasty. Ottokars parents were Vladislaus II, Duke of Bohemia, and Judith of Thuringia and his early years were passed amid the anarchy that prevailed everywhere in the country. After several military struggles, he was recognized as ruler of Bohemia by Holy Roman Emperor Henry VI in 1192 and he was, soon overthrown for joining a conspiracy of German princes to bring down the Hohenstaufen dynasty. 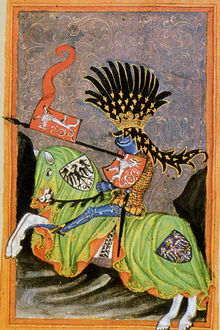 In 1197, Ottokar forced his brother, Duke Vladislaus III Henry, to abandon Bohemia to him, taking advantage of the civil war in Germany between the Hohenstaufen claimant Philip of Swabia and the Welf candidate Otto IV, Ottokar declared himself King of Bohemia. This title was supported by Philip of Swabia, who needed Czech military support against Otto, in 1199, Ottokar divorced his wife Adelheid of Meissen, a member of the Wettin dynasty, in order to marry Constance of Hungary, the young daughter of Hungarian King Béla III. In 1200, with Otto IV in the ascendancy, Ottokar abandoned his pact with Philip of Swabia, both Otto and Pope Innocent III subsequently accepted Ottokar as the hereditary King of Bohemia. Philips consequent invasion of Bohemia was successful, having been compelled to pay a fine, again ranged himself among Philips partisans and still was among the supporters of the young King Frederick II. In 1212 Frederick granted the Golden Bull of Sicily to Bohemia and this document recognised Ottokar and his heirs as Kings of Bohemia. The king was no subject to appointment by the emperor and was only required to attend Diets close to the Bohemian border. Ottokars reign was notable for the start of German immigration into Bohemia. In 1226, Ottokar went to war against Duke Leopold VI of Austria after the latter wrecked a deal that would have seen Ottokars daughter married to Frederick IIs son Henry II of Sicily. Ottokar planned for the daughter to marry Henry III of England, but this was vetoed by the emperor. The widowed emperor himself wanted to marry Agnes, but by she did not want to play a role in an arranged marriage, with the help of the pope, she entered a convent. Ottokar was married first in 1178 to Adelheid of Meissen, who gave birth to the following children, markéta, married to King Valdemar II of Denmark. Philip of Swabia was a prince of the House of Hohenstaufen and King of Germany from 1198 to 1208. In the long-time struggle for the German throne upon the death of Emperor Henry VI between the Hohenstaufen and Welf dynasties, he was the first German king to be assassinated. Philips great uncle Conrad III was the first scion of the Swabian Hohenstaufen dynasty to be elected King of the Romans in 1138, the newborn was probably named after Fredericks valued ally and confidant Archbishop Philip of Cologne. In 1190 or 1191 Philip was elected Prince-bishop of Würzburg, though without being consecrated and his brother Henry had expanded the Hohenstaufen domains by marrying Queen Constance of Sicily in 1186, suspiciously eyed by the Roman Curia. In his retinue in Italy was the Minnesinger Bernger von Horheim, on 26 December 1194, Queen Constance finally gave birth to a son, the Emperor Frederick II. To secure his succession, his father Henry had the two-year-old elected King of the Romans before he prepared for the Crusade of 1197, in early 1195, Philip was made Duke of Tuscany and received the disputed Matildine lands. His rule there earned him the enmity of Pope Celestine III, in 1196 his brother Conrad died and he succeeded him as Duke of Swabia. His marriage to Irene took place in 1197 near Augsburg, Philip enjoyed his brothers confidence to a very great extent, and appears to have been designated as guardian of Henrys minor son Frederick II, in case of his fathers early death. In September 1197 he had set out to fetch Frederick from Apulia for his coronation as German king, while staying in Montefiascone, he heard of the emperors sudden death in Messina and returned at once to Germany. He appears to have desired to protect the interests of his nephew and to quell the disorder which arose on Henrys death, but was overtaken by events. The hostility to the kingship of a child was growing, nevertheless, he knew that he had to settle the conflict with Otto and his supporters. A first attempt to mediate by the Mainz archbishop Conrad of Wittelsbach in 1199 was rejected by the Welf, both sides strived for the coronation as Holy Roman Emperor by Pope Innocent III. The pope himself acted tactically, trying to wrest the affirmation of the sovereignty of his Papal States, the pope began to work energetically in favour of Otto, who beforehand had solemnly renounced any intentions to affiliate the Sicilian kingdom with the Holy Roman Empire. The festival was rendered in a poem by Walther von der Vogelweide in order to spread the reputation of King Philip as a capable ruler. Again in Magdeburg Cathedral, Philip celebrated the elevation of Saint Cunigunde of Luxembourg on 9 September 1201, in 1201, Philip was visited by his cousin Boniface of Montferrat, the leader of the Fourth Crusade. Although Bonifaces exact reasons for meeting with Philip are unknown, while at Philips court he met Alexius Angelus, the two succeeding years were still more unfavourable to Philip. The Přemyslid ruler Ottokar I, though he had received the hereditary Bohemian regality, another former ally, Landgrave Hermann of Thuringia, drove him from northern Germany, thus compelling him to seek by abject concessions, but without success, reconciliation with Innocent. Statue of Saint Wenceslaus in St. Vitus Cathedral, Prague. The head of the statue apparently fits the measurements of Wenceslaus' skull. In the painting, Přemysl Otakar II: The Union of Slavic Dynasties, part of Alfons Mucha's 20-canvas work The Slav Epic, Ottokar is depicted at his niece's wedding celebration, forging alliances with other Slavic rulers in attendance. Monument to Otto III (standing) and his brother John I in the Siegesallee in Berlin, by Max Baumbach. John I (sitting) and Otto III studying the (alleged) city charter of Berlin and Cölln (now in the Spandau Citadel). 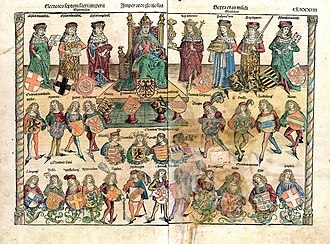 Coats of arms of prince electors surround the Holy Roman Emperor's; from flags book of Jacob Köbel (1545). The Hungarian King Béla IV on the flight from the Mongols under Qadan.